BROCKTON - In the blink of the eye, the two time-defending champions have put themselves back in the conversation for a three-peat. 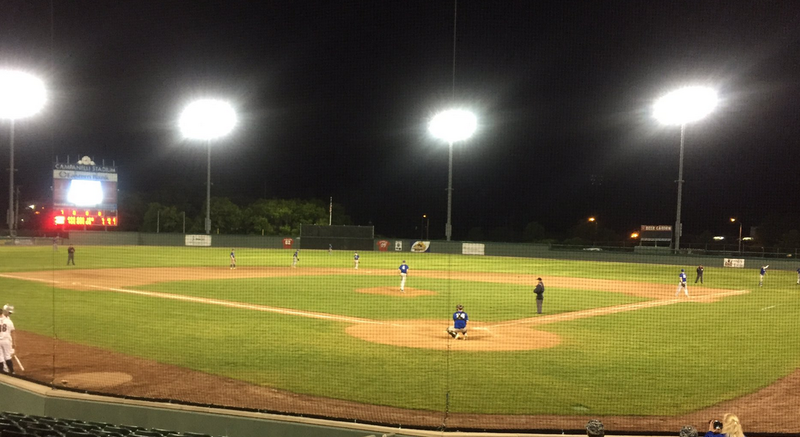 One day after pulling off a miraculous comeback to remain alive, John Tellier kept Braintree’s season going, throwing a complete game as the No. 5 Wamps defeated No. 3 Central Catholic, 5-2, in a Division 1A Super Eight elimination game on Thursday afternoon at Campanelli Stadium in Brockton. The win advances Braintree (16-7) to the Super Eight quarterfinals against the winner of BC High and Xaverian. Central Catholic (18-5) is eliminated from the tournament. Tellier cruised through the first eight innings, and went back to the mound to start the bottom of the ninth nursing a 5-1 lead. Central Catholic, however, began the inning with a single and a walk before Mike Pierro lined an RBI single up the middle to cut the Wamps' lead to 5-2 with nobody out. Raiders’ slugger Steve Hajjar came up to the plate as the tying run, but Braintree coach Bill O’Connell stuck with Tellier. The move paid off as Tellier induced a pop up out of Hajjar, before getting a 6-4-3 double play to seal the Braintree victory. O’Connell said his assistant coaches convinced sticking with Tellier was the right move. Braintree came out aggressive at the plate against Raiders’ number two starter Sam Lara, pouncing from the opening pitch. Jackson Duffy drew a four-pitch walk, and Wamps’ two-hitter Justin Files followed up with a run-scoring triple down the right field line to put Braintree up 1-0. Two batters later, after Alex Kennedy reached on an infield single, John Carey brought home Files with a groundout to the right side, giving the Wamps a 2-0 edge. Central Catholic got a run back in the bottom of the first on a two-out double by Dominic Keegan, and an RBI single off the bat of Pierro. The Wamps answered right back one inning later. Jack Andrews began the inning with a line single to center and Duffy brought him home with a line RBI double to left centerfield. Two batters later, Kennedy traded places with Duffy, drilling a double of his own to left that gave Braintree a 4-1 edge. Tellier, meanwhile, settled into a groove after the opening inning. The right-hander, who featured a fastball that sat around 80 miles per hour, a slider, and a changeup, retired 17 of 19 batters he faced between the third and eighth innings. The only time the Wamps starter got into trouble during the middle innings was in the bottom of the sixth. Joe Sanchez and Keegan each singled around a strikeout, giving the Raiders runners on the corners with one out. As he did all night long though, Tellier made the big pitch, getting a 4-3 double play ball off the bat of Pierro to end the threat.